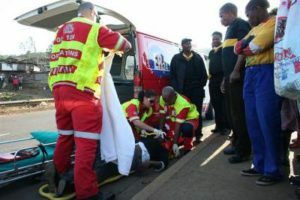 When you are hit by a car, in a few cases, you might go unscathed, however in most cases it results in unplanned hospital bills, lost earnings and charges from paramedics. Sometimes it goes beyond these and you might suffer trauma, pains, and sometimes become disabled for life. These problems cannot be undone once they have already happened to you. The only thing you can do is to fight a legal battle for justice and get a reimbursement for all the money you have spent or will spend. To achieve this, you need the help of a reliable pedestrian lawyer. If you’re in Chino, CA, you can find such lawyers at Rawa Law Group. We are not just any firm. We are a five-star legal consulting firm and our aim is to advocate for the rights of injured citizens of the state. We have a team of the most experienced accident lawyers in the state and they are relentless and tireless in operation. Call on us and enjoy a personal one-on-one attention from one of our experienced lawyers. Consultation is free with us and we even give our clients flexible appointment hours for those that may be too busy. Besides those, we are also available to meet clients up at their homes or hospital in more severe cases. When we visit you or when you come to our office, you will be given useful legal counsel to forestall any complications that might arise from your case and show you what you must do to be qualified for your accident compensation. Hire a reliable pedestrian lawyer Chino, CA today at Rawa Law Group’s address as written below.